High Contrast is a 1971 album by guitarist Gabor Szabo released on Blue Thumb, featuring Bobby Womack. 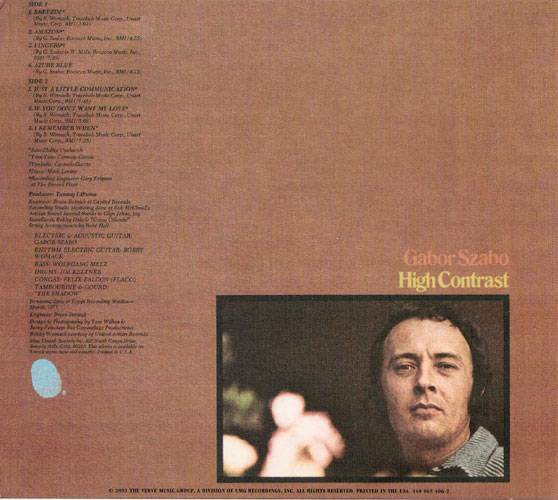 It is notable for having the original version of "Breezin'", made famous five years later by George Benson. This CD was released by the Verve Music Group in 2003. An unusually successful pairing of Gabor Szabo with R&B legend Bobby Womack. 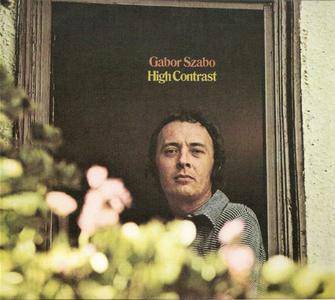 Szabo digs deep into a soulful groove, inspired by Womack's silky-smooth originals. 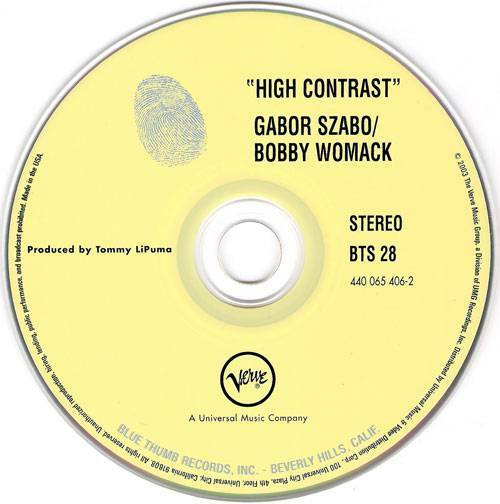 High Contrast features "Breezin," the Womack tune written especially for Szabo, which George Benson parlayed into a huge hit in 1976, and several tunes Womack popularized in the film Across 110th Street.